"When you're growing up, Septembers have a special feeling. Another carefree summer is all too quickly ended, and a new school year is about to begin. There was an extra excitement for me in the September of 1934. My years at Miss Hunter's school on Walton's Mountain were over, and I was ready to take those first faltering steps into the strange world outside. How vividly I recall the edgy excitement, the awful exilaration of preparing for my first day at Boatwright University. It was a day which showed me how little I knew about some things, and how well my parents had prepared me for others." John-Boy is up early getting ready for his first day of college. His Daddy who is just as nervous for him checks to see that he has enough gas in his car. The children are all crowded in the bathroom getting ready and fighting amongst each other. John-Boy tells Jason that it is time for him to step up and to start taking charge of his younger siblings. Grandma gives him $2.50 for emergency money. The children help to get his car ready and they all see him off on his first day of college. Olivia as expected is quite emotional as her first born begins to leave the nest. On the way John-Boy is flagged down by a girl by the name of Polly Thompson who has lost her ride to Boatwright. She gives him no choice in giving her a ride to school. Once on campus John-Boy makes the mistake of parking in a faculty space and he then meets Michael West another freshman who gives him a few tips on how to survive at college. He then gets picked on by some sophomore’s including Mike Paxton who will become more instrumental down the road. John-Boy then goes to get his orientation package and meet his Big-Brother Shanks Hewlett who has more time for the pretty girls that doing his mentorship. 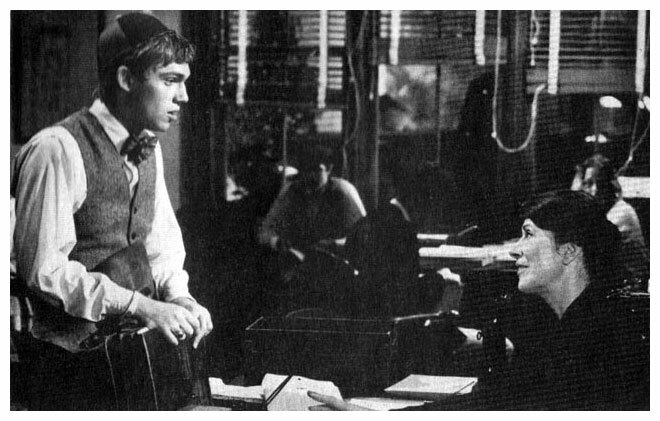 He then runs into Polly again who has misplaced her book bag in the haste to go find it he bumps into the professor who's parking spot he had taken knocking all the materials out of his hand. 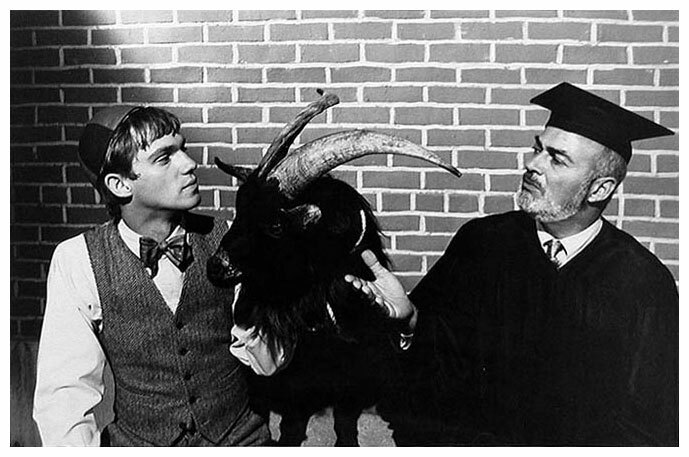 Later he is approached by a sophomore who asks him to deliver the school mascot, a goat, to room 11 in the Administration building. He makes his way followed by a crowd of amused on-lookers. 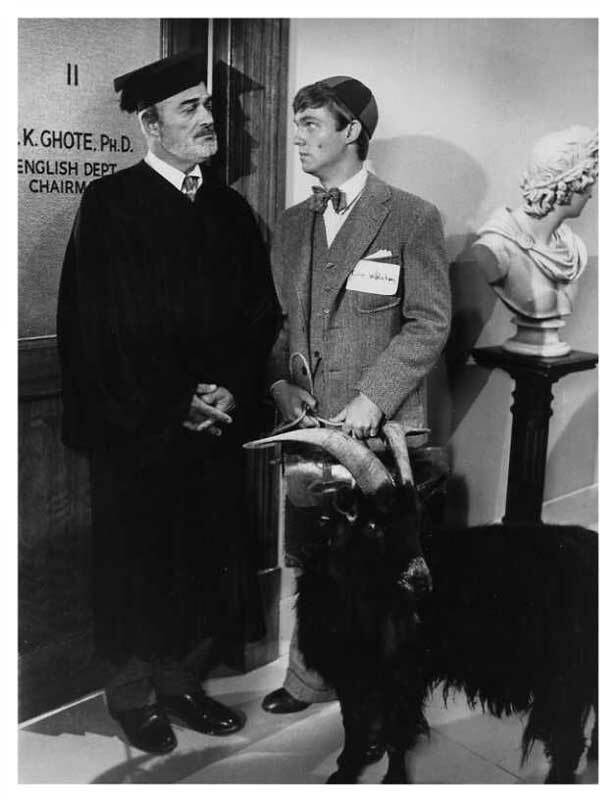 Just as he is about to knock on the door of room 11 he realizes that this is office of Professor William Ghote otherwise known to the sophomores as “Billy the Goat”. John-Boy has left his admissions certificate at home and requires his Daddy to bring it to him at the college. Mike Paxton and his friends see the Walton truck pull up and immediately start to make fun of it. John-Boy realizes that he is no longer embarrassed for who is or where he comes from and proudly meets his father and gets his admission papers submitted just in time. Finally as he is about to cross a walking bridge, Mike Paxton and his gang try to toss him into the pond. Professor Ghote arrives in time to break up the fight and advises John-Boy that maybe he's done enough damage for one day and should think about going home. He arrives home to tell the family the tale of how he survived his first day of school. Jason tries his best to fill John-Boy's shoes as the oldest of the children but he is met with challenges and resentment from the other children. Miss Hunter gives his some advise saying that if he tries too hard to be like John-Boy then they will lose Jason who is special in his own way. "There have been many other first days in my life since that long ago September, but I've been sustained through them all by two certainties - I am who I am, with whatever shortcomings, and family ties may lengthen to accomodate distance, but they are never broken."